Description: Dianna met up with The Sandra Good Band during the Stonebridge Wasaga Beach Blues Fest at Wild Wing and got to speak with the charismatic vocalist, Sandra Hosgood as well as our Wasaga Film Festival Multi Music Video Award Winner, Mary Ann Watts from Watts Photography. 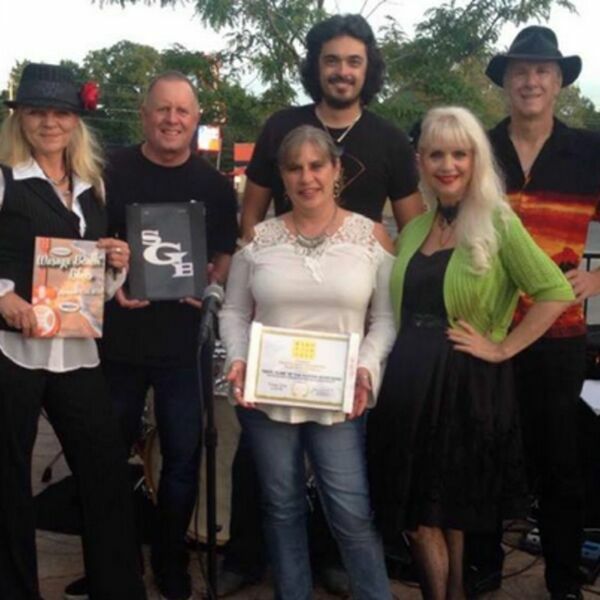 Mary Ann produced the music video "Devil in Me" by the Sandra Good Band which won gold at the 5th Annual Wasaga Film Festival Regional Music Video Awards back in April. Sandra will share her music and Mary Ann will discuss her music video production for "Devil in Me". BEACH CORNER from Beach BOOSTER Radio, available ON DEMAND anytime on any device. Please enjoy and SHARE! Dianna met up with The Sandra Good Band during the Stonebridge Wasaga Beach Blues Fest at Wild Wing and got to speak with the charismatic vocalist, Sandra Hosgood as well as our Wasaga Film Festival Multi Music Video Award Winner, Mary Ann Watts from Watts Photography. Mary Ann produced the music video "Devil in Me" by the Sandra Good Band which won gold at the 5th Annual Wasaga Film Festival Regional Music Video Awards back in April. Sandra will share her music and Mary Ann will discuss her music video production for "Devil in Me". BEACH CORNER from Beach BOOSTER Radio, available ON DEMAND anytime on any device. Please enjoy and SHARE!